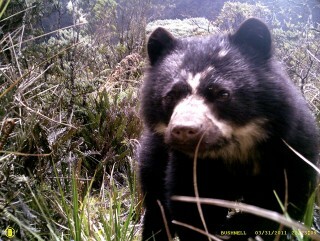 The Wildlife Conservation Society has a long-history of leading research on the elusive wolverine – a species under dispute as to it’s conservation status in the contiguous United States and inadequately understood in the Arctic region of Alaska. Lurking through the willows, a wolverine cautiously investigates a trap that researchers commonly use to live capture the elusive creatures. A bull moose carcass, likely killed by a pack of wolves, draws the animal into the thicket of willows near Prince Creek in the National Petroleum Reserve–Alaska. 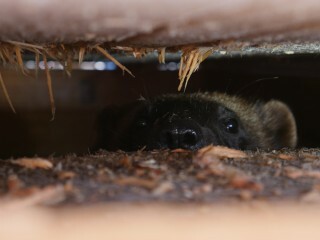 Wildlife Conservation Society researchers are investigating where female wolverines den in the National Petroleum Reserve. Location, location, location is important for choosing our own home, and particularly so for denning wolverines. In Alaska, wolverines prefer deep snow drifts for their dens, to protect their kits from predators and harsh winter conditions. Unlike other portions of their range where wolverines can use boulder fields or downed woody debris for dens, wolverines in the Arctic rely on snow since other cover is not readily available. 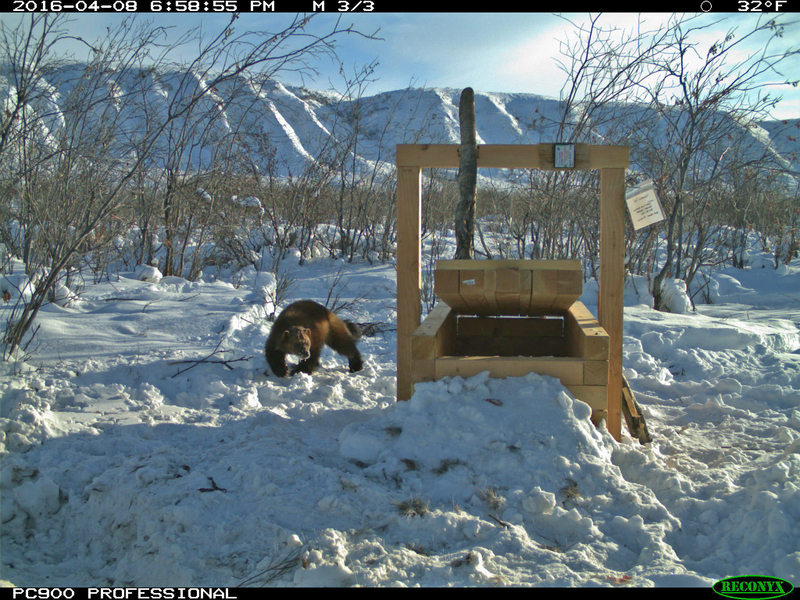 This adult wolverine investigated the moose carcass, and then disappeared, potentially returning to a den dug deep into a snow drift where small kits were awaiting the warmth of their mother. 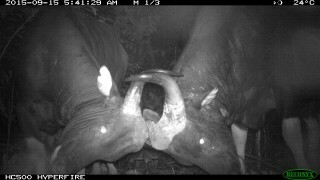 We were fortunate to get this rare shot with our camera trap – but wait for her to try some of the tasty morsels in the live trap.